Many residents and medical students are looking for a new home to rent in the months of June and July – and they’re not alone. The summer months are busy ones for apartment hunting in Texas. If you are a physician or medical student looking for a rental to call home, TMA Insurance Trust wants to remind you to be sure to add renters insurance to your checklist. What are the benefits of having renters insurance? Many who rent are surprised to hear that their landlord’s insurance only protects the building in which they reside – it does not offer any protection for their own belongings, or any personal liability coverage. Additionally, most property managers require their tenants to obtain renters insurance before moving in. Having this protection will ease your mind about two of the biggest fears most renters have: fire and theft. You strive to be a careful, responsible tenant; but when you rent, you may suffer a financial loss because of circumstances that are completely out of your control. A cooking fire in an apartment next door, an unattended candle left by a neighbor in the building, or even faulty wiring that no one was aware of could result in thousands of dollars of fire, smoke and water damage to your belongings. These types of incidents are all too common. In Houston alone, there are approximately 42,000 fire-related incidents every year. Renters insurance also protects against theft, and this is important since your landlord’s insurance does not cover loss of your personal property. Even though you may live in a great neighborhood, no community is immune to theft, and it occurs all too frequently. According to the Texas Department of Public Safety, on average, a property theft occurs in Texas every 41 seconds, resulting in $1.9 billion of property stolen in 2016 alone. Renters insurance will help replace items that may be destroyed by water, fire, and smoke. It also can help to replace your belongings that have been stolen from your home. But the theft protection that renters insurance provides also extends outside your home. For example, if your bike is stolen from the deck, your laptop is swiped at the coffee shop, or your luggage is stolen while you’re traveling, simply file a claim to be reimbursed. A renters insurance policy also protects you against liability and may cover medical costs associated with guests or visitors that may be injured on the property. Renters insurance is not just practical, it is affordable. For the cost of a few cups of coffee per month, you can have the peace of mind of knowing that, even if you can’t prevent loss from occurring, you have the protection you deserve. 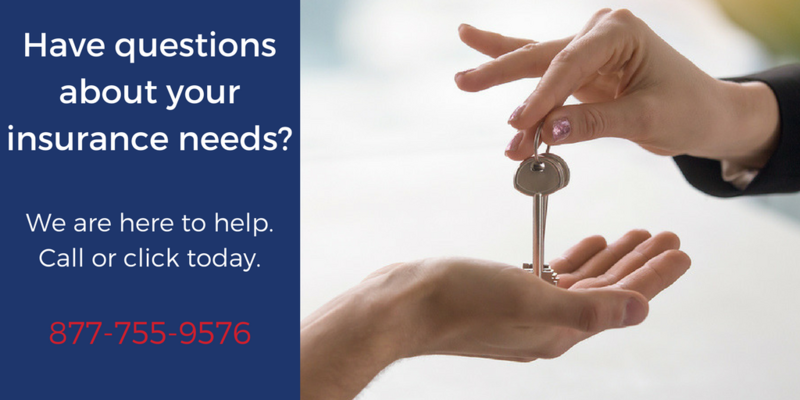 Call 877-755-9576 to get fast, friendly help in securing your renters insurance protection today.